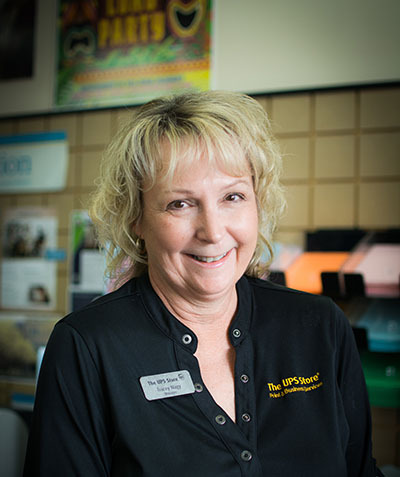 The UPS Store has shipped packages, faxed, scanned and notarized documents in Maricopa since 2006. But it’s the store’s welcoming attitude that has kept customers coming back for the past decade, said Store Manager Tracey Nagy. Nagy has worked for UPS for 13 years. She’s spent the last dozen managing her store in Maricopa and has watched the city grow along with her customer base. The store provides more than just its traditional services. In addition to its printing and copying options, the UPS store also allows customers to send documents over the web. Nagy explained that customers can email attached documents directly to the store from the convenience of their computers and pick up their copies once the order is ready. It’s one of many practices Nagy said the store has used to support local entrepreneurs. “We definitely love the community and we like to help small businesses,” Nagy said. Some of the most popular services utilized by small business owners is the UPS Store’s 24/7 access mailboxes, business cards and letterhead printing. For traditional shipping needs, Nagy said her customers feel safe when sending important packages through the mail. “The Pack and Ship Guarantee offers the customer a guarantee that their packages will arrive safely, and if not, they will get reimbursed for the charges,” Nagy said.